PRICE REDUCED!!! Beautiful move-in ready 3 bedroom, 3 bath home located in the quiet neighborhood of Clover Ridge. Main level features a great room, large formal dining room, guest bathroom and the galley kitchen which has new appliances and a huge walk in pantry. Open foyer stairway leads upstairs where the large master suite with full bathroom and two closets, and the additional two bedrooms and bathroom are located. Both heat pumps have been replaced in the last 5 years. The great room has french doors leading outside to a large stone patio with built-in fire pit that is ready for entertaining. The low maintenance yard is beautifully landscaped with a white picket fence surrounding the backyard. 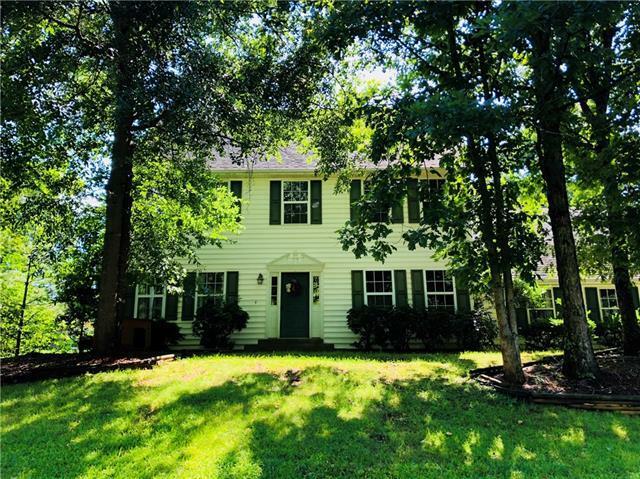 This home is conveniently located only minutes from downtown Morganton! Sold by C Shane Cook & Associates.